According to experts and Wikipedia, some of the first hearing aids were created in the 17th century. These rudimentary hearing aids were known as “ear trumpets,” and by the late 18th century, the use of these hearing aids was quite common. Technology needed to catch up a bit before more modern advents of hearing aids. After the creation of the telephone, which is now somewhat controversially credited to Alexander Graham Bell, the first electric hearing aid was created in 1898. As time progressed, the introduction of digital hearing aids became normal as digital devices grew smaller and more adaptable to specific hearing problems. 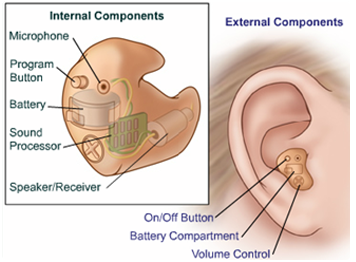 Common hearing aids include a microphone, amplifier, and speaker. Sound enters the ear like normal, is received by the microphone, that sound is then amplified and then sent to a speaker where the processed signal is then output. This happens in a similar way to your favorite musician who sings into a microphone at a concert and everyone hears her or him on loudspeakers. 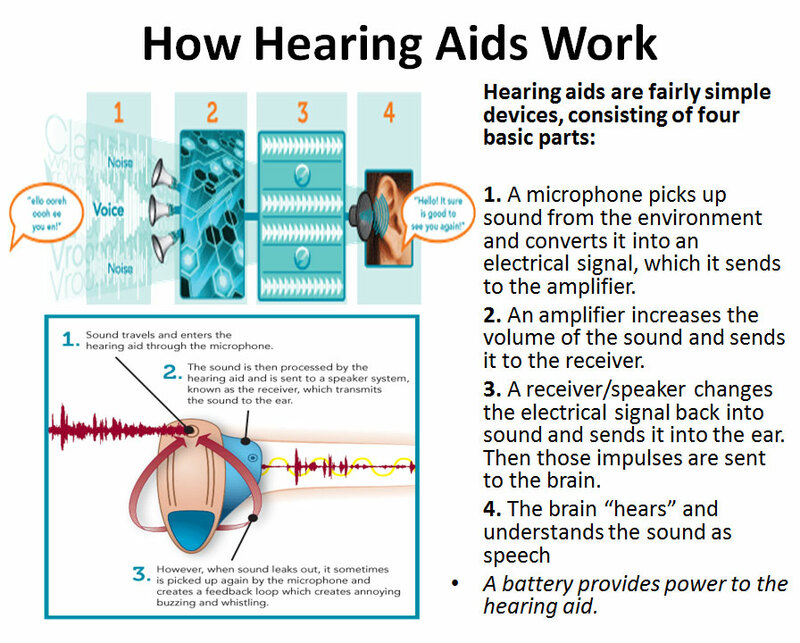 According to the National Institute on Deafness and Other Communication Disorders (NIDCD), hearing aids help those who have suffered hearing loss, which results from damage or harm to the sensory cells in the inner ear, which are named hair cells. When these are damaged, this type of hearing loss is called sensorineural hearing loss. 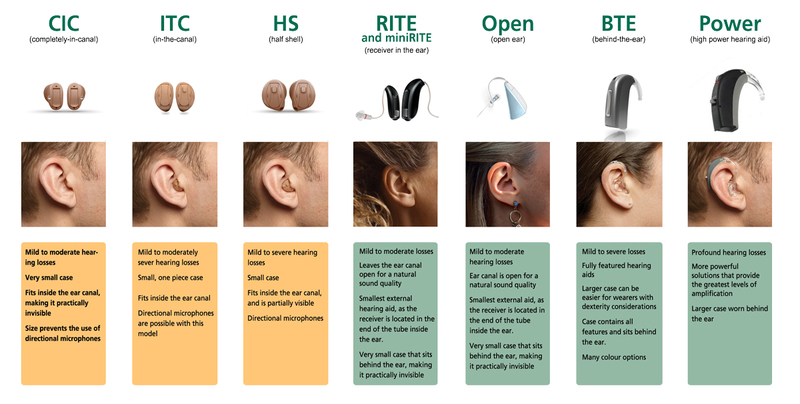 There are many fits for hearing aids depending on the level of style, comfort, and potentially hearing loss you have. We offer a wide variety of hearing aids in Fort Wayne and all of our other locations. We’ve been in the hearing aid business for over 20 years and have developed a great sense for the industry and our customer’s specific needs. In order to evaluate your hearing loss, or if it is just earwax, schedule a free hearing test today with one of our hearing specialists. Depending on your level of loss, you may be eligible for our unprecedented, no-risk 60-day hearing aids trial exclusively selected by our manufacturer.